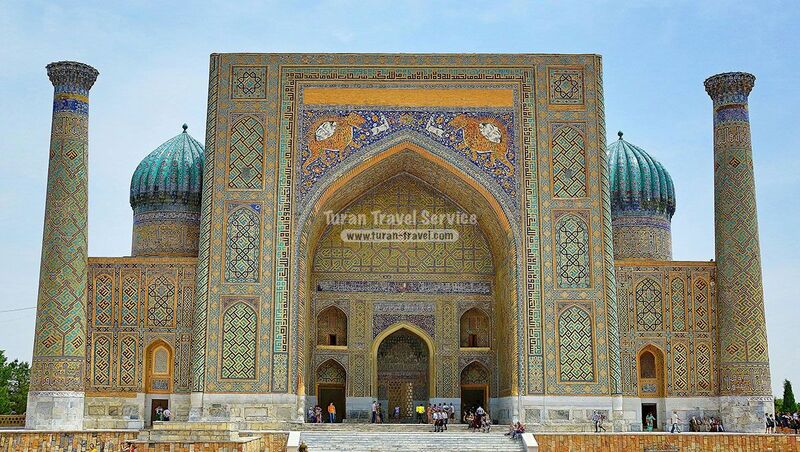 Tour to Uzbekistan, is for up to 8 days. 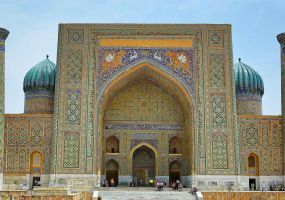 It will give you an opportunity to see four of the most exciting and exotic cities of Uzbekistan: Bukhara, Khiva, Samarkand and Shakhrisabz. Each of these cities has famous and rich history, monuments and architecture. Eight days - the best period to get the of interesting information from excursions, as well as to ensure that your will have free time for independent walks, shopping, unique photographs and communication with people. For someone, such trip can be a return to the good old days, when everyone lived in one big country and have always been pleased with each other. For many people it will be opening totally new world - the charming East! We have prepared for you an optimal program. 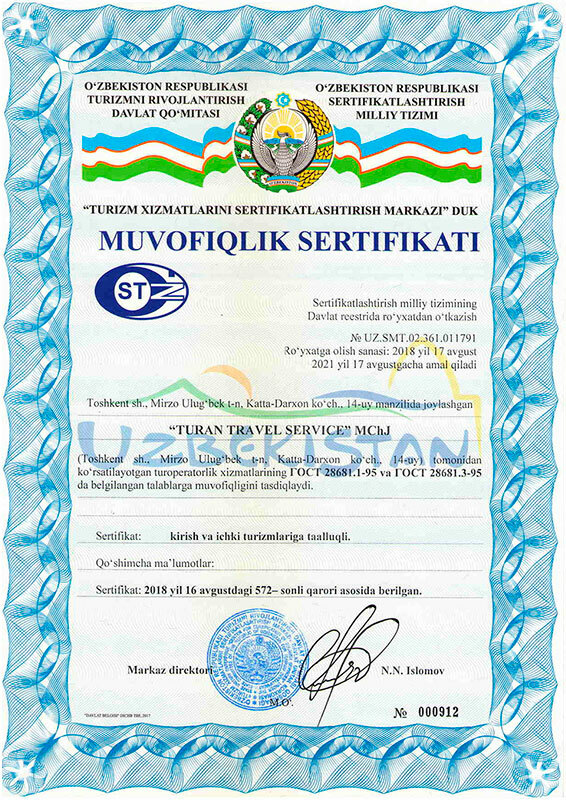 We considered that for you will be convenient to arrive directly to ancient Samarkand, so you can save at least 8-24 hours, than if you arrived to the modern Tashkent and from there get to Samarkand. Excursions for you will be carried out by our experienced guides. This is important, because after their stories you will remain unforgettable impressions. You will also be plenty of free time, so you can walk yourself through the old town for shopping and you can chat with people. We have prepared for this tour gastronomical recommendations, what and where would be worth to try out the local cuisine. Thus, your tour will become even in gastronomic discovery. Throughout the route we will be in touch with you, will listen, take into account and arrange a tour so flexible for you as it will be possible. Arrival to Samarkand. Meeting at the airport. Accommodation at the hotel. Overnight at the hotel. Excursion around the city. Visit Registan Square (XV-XVII centuries. ), Bibi-Khanum (XIV c.), Gur Emir Mausoleum (XV c.) Bazaar "SIAB", a visit to the observatory of Ulugbek (XV c.), Afrasiab Museum, a complex of Shahi -Zinda (IX-XIX cc.). Overnight at the hotel. 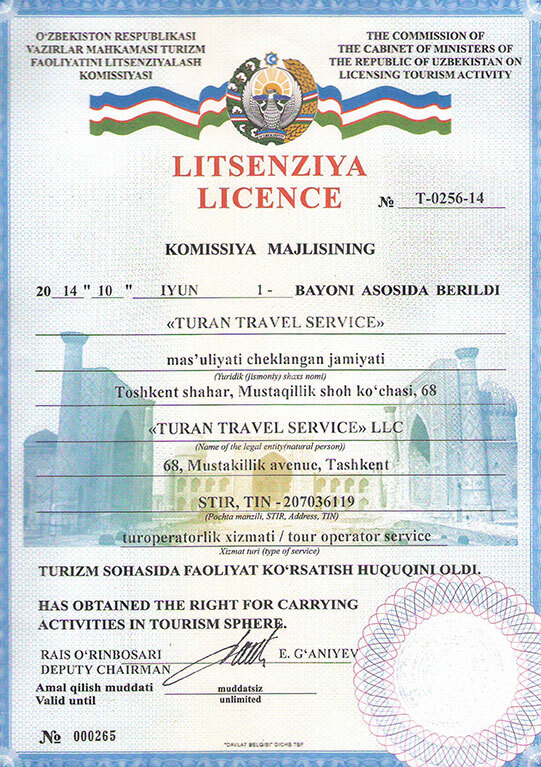 Transfer to Bukhara by car through Shakhrisyabz. Excursion in Shahrisabze. Further trip to Bukhara. Arrival to Bukhara. Accommodation at the hotel. Overnight at the hotel. 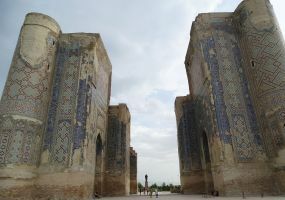 Bukhara. Beginning of city tours. Ensemble Labi-Hauz complex Poi Kalon (XII-XVI century. ), The Ark (I century BC - XIX c.), Mausoleum of Ismail Samani (IX-X cent.). Dinner. Continuation of city tour. Mir-Arab madrassah (XVII century.) Magoki-Hattori, Kosh Ulugbek Madrasah and Abdulaziz (XV-XVII centuries). Bolo Hauz (XVIII c.). Overnight at the hotel. Breakfast at the hotel. Continuation of the excursion in Bukhara and countryside objects: Complex Residence Emir of Bukhara Sitorai-Mohi-Khosa (XIX c.), Bahauddin Naqshbandi Complex (XVI c.). Free time. Overnight in Bukhara. Day 6. 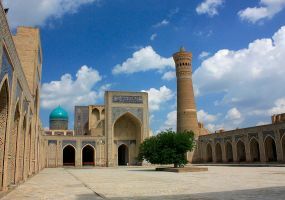 Bukhara - Khiva. 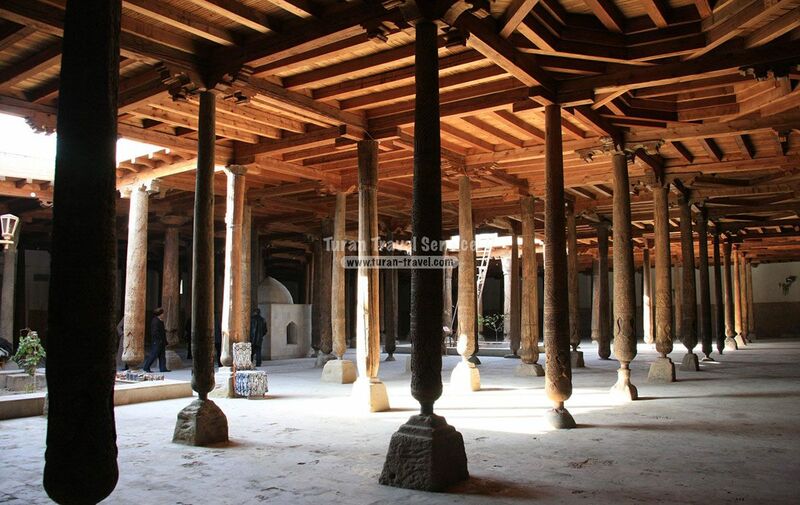 Bukhara - Khiva. Transfer to Khiva drive across the Kyzyl Kum Desert. Stops along the way. Accommodation at the hotel. Overnight. Khiva. Excursion in Khiva. A visit to the architectural complex of Ichan-Kala (XII-XIX cc.) Residence of the last Khan including the mausoleum of Ismail Hoxha, Muhammad Amin Khan madrassah, Kun-Ark fortress (XVI-XVII centuries). Mazar Uch-Avliya, which means in the local dialect "Three of the saints." Dinner. 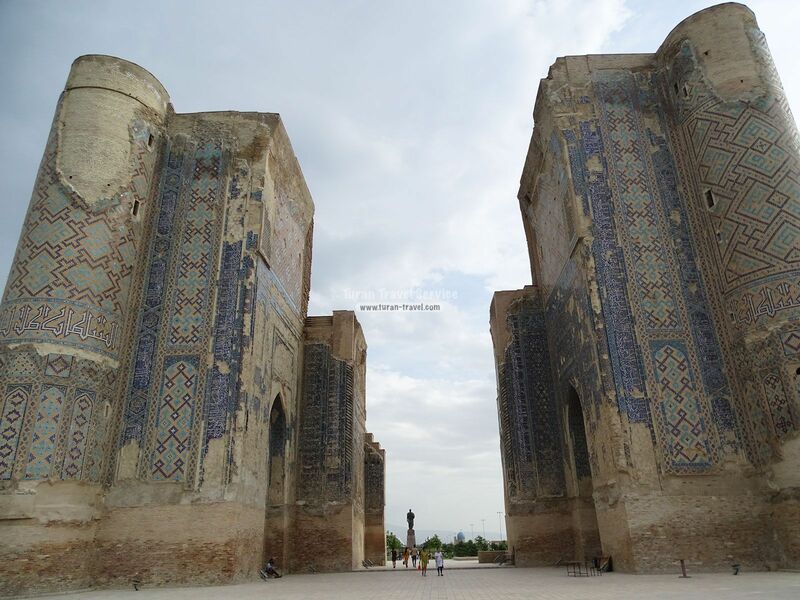 Continuation of excursion program minaret Kalta Minor, turquoise walls are covered with script and verses of the great khan Maarifa mirab Muhammad Riza Agakhi tower "Kalta Minor", the palace Tash Hovli (XIX c.) Pahlavan Mahmud Mausoleum (XIV-XVIII centuries). 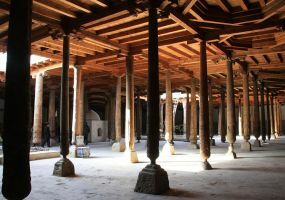 Mosque Juma (X century). Overnight in Khiva. Day 8. 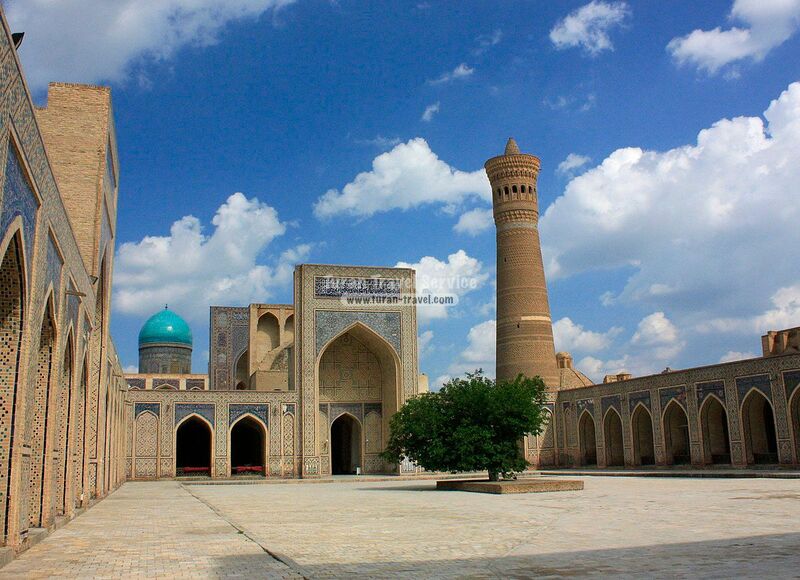 Khiva - Urgench. Breakfast. Transfer to Urgench. Departure from Urgench.